As the holiday season approaches, many of our Justus-Tiawah classes would like to adopt angels with whom to share from their abundance. 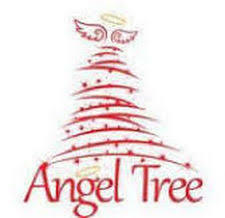 We would like to take care of the needs of our Justus-Tiawah families first, so if your family is having a tough time during this holiday season and needs assistance we would like for you to consider participating in our eleventh Annual Justus-Tiawah Angel Tree. If you have already signed up to participate in another program, we respectfully ask that you not participate here too. It is our goal to serve those families who have needs but may not qualify for assistance through DHS or the Salvation Army. The program will work in this way. If your family needs assistance please complete the form and return it in a confidential envelope to Mrs. Clifton in the Superintendent's office. The form will be under the document section. We will carefully protect the identity of those families who are participating. We will need to have those forms returned to us by Tuesday, November 13th. If you would like to adopt an angel, we will have those available in the office beginning Thursday, November 15th for you to pick up. We ask that you return the unwrapped donated items to the office no later than Friday, December 14th. The office will contact participating families to schedule a time to pick up the items donated starting on Monday, December 17th through Tuesday, December 18th. We hope that our school community will be blessed by this endeavor. Thank you for your consideration of the project. To view and print form, click link below and return on Tuesday, November 13th.